What Does Cubic Capacity Mean To You? We aim to make this a hassle free process for you at all times and once you’ve completed the request below we’ll get back to you in no more than 4 working hours (often much quicker) to confirm availability & price. If there’s anything you are unsure about please mention it in the Comments field or feel free to give us a call. The most common issue? 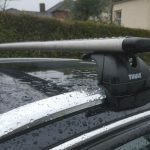 Not being 100% sure on which style of roof-fitting your car has – there are photos of the options below to help you. Try & avoid simply guessing but if you do know please include the info rather than putting “unsure” as it will help speed your quotation through! Fitting: We include fitting of all items as standard – no additional cost. Demonstration: you’ll be given a comprehensive demonstration of how to get the best out of the equipment hired. Timing: Please note that we cannot necessarily guarantee an early or late fitting appointment and it is the case that they can be anytime during our working day. Therefore if you have time critical travel plans such as a ferry or channel crossing, please make us aware in the comments field and also consider adding a day either side of your hire to ensure we don’t impinge upon your arrangements. Bank Holidays: we tend not to be open on these weekends. Please make us aware of any special requirements. 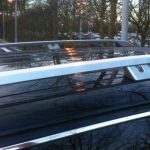 Raised roofrails – these run front to back on the car and you can place your fingers between the bottom of the bar and the top of the car. Flush/Solid Roofrails – again these front to back on the roof however it is NOT possible to place your hand underneath the rail. Fixed Points? 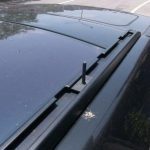 What you will normally see on your car’s roof are 4 plastic covers that when lifted/slipped to one side reveal a fixing point. Often this is a threaded recess, sometimes not. Some photos are also shown below. 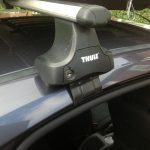 Our experience coupled with the assistance of Thule means there are very very few cars that we can’t find a Thule Solution for! Fixed Points – vary greatly in style. 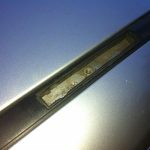 Invariably under a removable cover on the roof top trim – always 4 of them! Tell us how many you'd ideally need - the number you can have will be governed by the length of the roofbar, whether or not you have a roofbox etc. We offer an optional additional service to deliver to and collect from you at the start & end of the hire.